Birth of a Painting Series X: "Mountains, Clouds, and Streams". Birth of a Painting Series X, “Mountains, Clouds, and Streams”. Empirical and experiential sculptural paintings, within a natural environment, the paintings are a combination of massive sculptural grounds, forming a reflection of nature, reflecting the temporal nature of man. 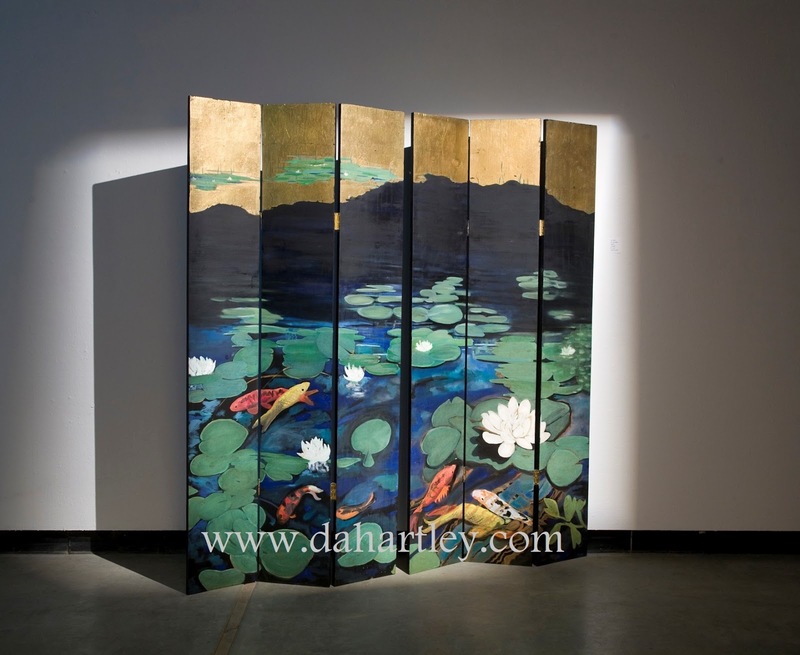 "Mountains, Clouds, and Streams", mixed media on wood, triptych, 4' x 6', 2005. Courtesy of the artist. 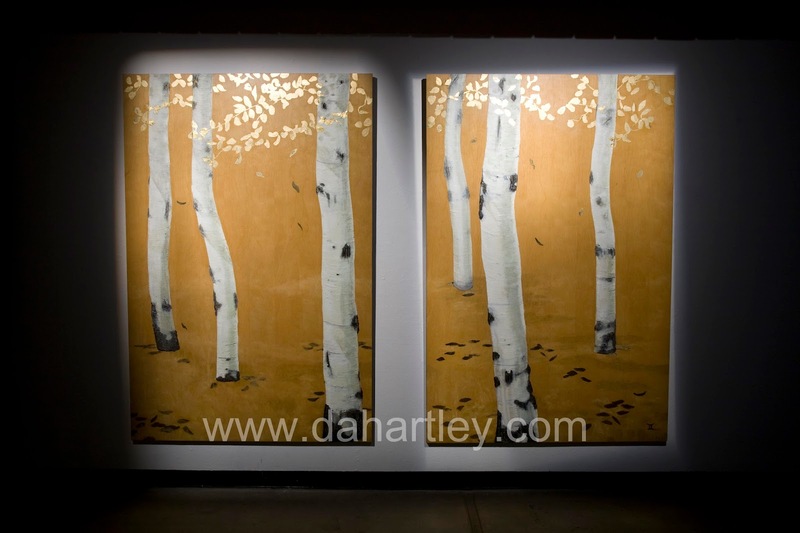 Nature Series: Themes of Taoism by Denise Hartley. Sculptural paintings on wood. "Tao", cast bronze, 10.5" x 22", 2002. Birth of a Painting Series VIII: Installation, "Water!". Artist D.A. Hartley creates a series of empirical and experiential waterscapes in a video installation that explores the sights and sounds of water. Museumgoers might be expected to imagine entering a natural vista, experiencing the crashing of waves, the roar of a whitewater river, and the sounds of a brook working its way downward, in the cycle of movement, back to the ocean. The viewers are invited to participate in a format of healing and reflection upon nature. Water! A combination of large-scale videos within an installation format includes an inner meditation room, surrounded by paintings and the gentle sounds of water, designed to include the viewer in the artwork. 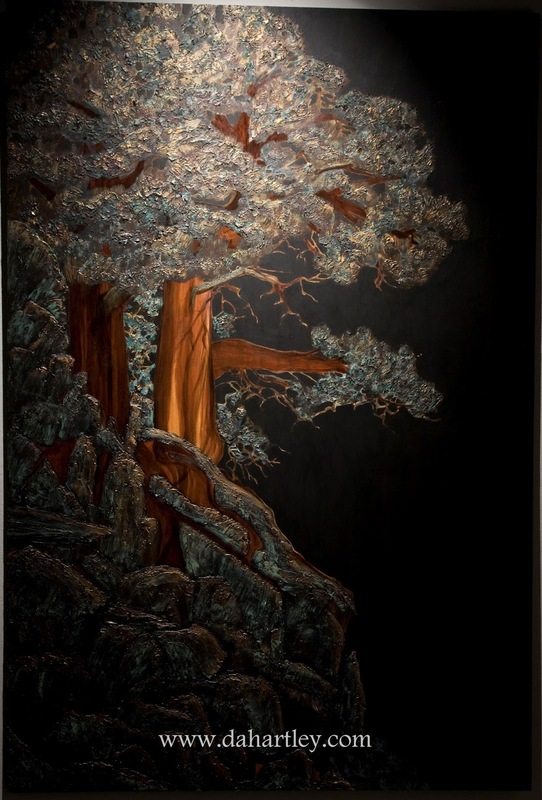 The paintings are sculptural, created on large wood panels, with deep texture, oil paints, and gold leaf. 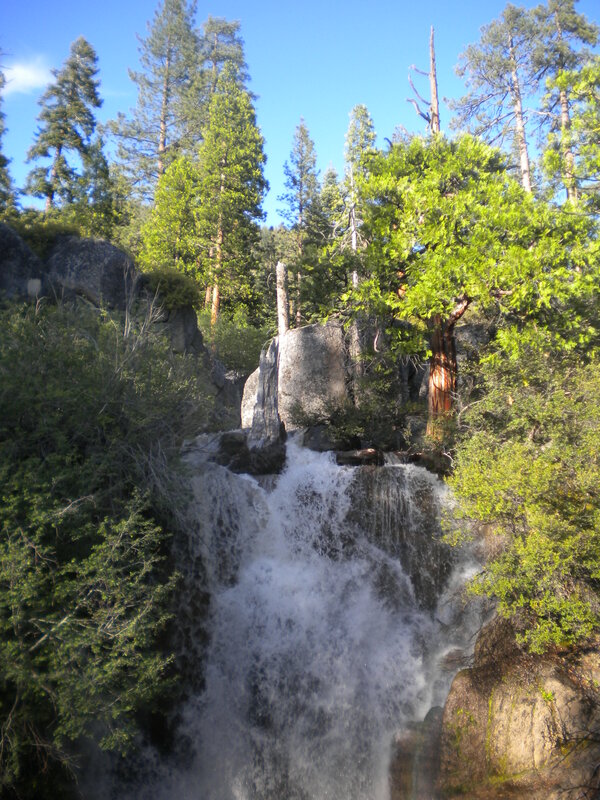 The videos are of natural events; “Lost Canyon Falls”, includes water and fire, in a meditative film; “Lake Kaweah”, transforms two years of photos into a video time piece, recording the beauty of each passing day; “Douglas Creek”, includes streams, meadows, and the sounds of water. Lake Kaweah, 2007-2008, large-format video collection of stills. Conley Gallery, CSU Fresno, 2008. One Woman Show. to the snow-capped peaks in the Sierra Nevada mountains of California. 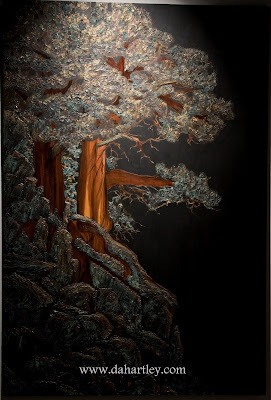 "Cypress and Basalt", mixed media on wood, 4'x6', 2006. Private collection. "Aspens", oil paint, gold leaf on wood, diptych, 6'x8', Private Collection. "Mountains, Clouds and Streams", mixed media on wood, triptych, 4'x6'. For Sale. "Silent Passage",oil paint on gessoed wood, 4'x6', 2004. Private Collection. "Koi", oil paint, gold leaf on wood, diptych, 70"x 68", 2008. For Sale.